Nature has an answer to all, be it your body, mind or soul. Ayurveda is an ancient, holistic form of treatment that represents nature and answers to all your problems. It relies heavily on herbal remedies and healthy lifestyle. Ayurveda aims at keeping your doshas balanced for a healthy and happy life. 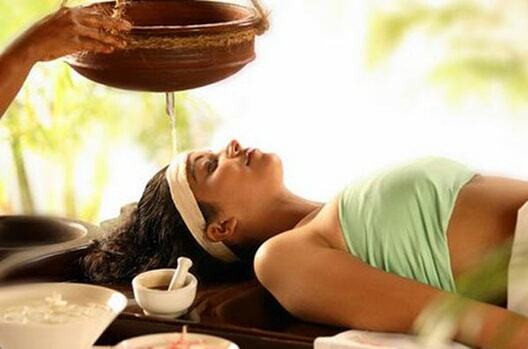 Ayurveda focusses on Panchakarma therapy and herbal approach for treating Psoriasis. The length of the treatment depends on the severity of the problem. Application of essential oils like chamomile, lavender, rose, bergamot, tea tree oil can ease symptoms and help you feel better. Inhaling tea tree, rose, lavender, and chamomile oil are not just considered good for treating psoriasis, but they lift your mood and make you feel calm and relaxed. Aloe Vera: Apply fresh aloe gel thrice a day to the affected area. Apple Cider Vinegar: Apply diluted ACV to the affected area. Apply turmeric paste to reduce swelling, inflammation, and redness. Cover the affected area with a fresh banana leaf or neem paste. Sesame seeds: Soak 15-20 seeds in a glass of water overnight. Drink this on an empty stomach first thing in the morning. Stress and anxiety are the major causes of Psoriasis. Mediation is the best way to manage your stress and calm anxiety.